It’s official. After 20 months straight of burning up the sales charts and bolting out the showroom doors into ecstatic customers garages, the iconic Ford Mustang is finally getting a competitor. The automotive industry has sat up and taken notice of the Australian public buying an enormous 300% more Mustangs than forecast, accounting for almost half of the entire sports car market in Australia. Who would have thought a V8 muscle car would sell well to the country about to say good bye to their beloved GT Falcons, XR6 Turbo’s, HSV GTS’s and SS Commodore’s… The result? The Mustang’s life-long nemesis, the Chevrolet Camaro is coming to our shores in late 2018 courtesy of Holden and HSV. A new battle begins. The Mustang and Camaro are direct and fierce competitors in their American home land with a rivalry dating back to the late 1960’s and the birth of the entire muscle car concept. However things will be somewhat different once the Camaro arrives on Australian shores. 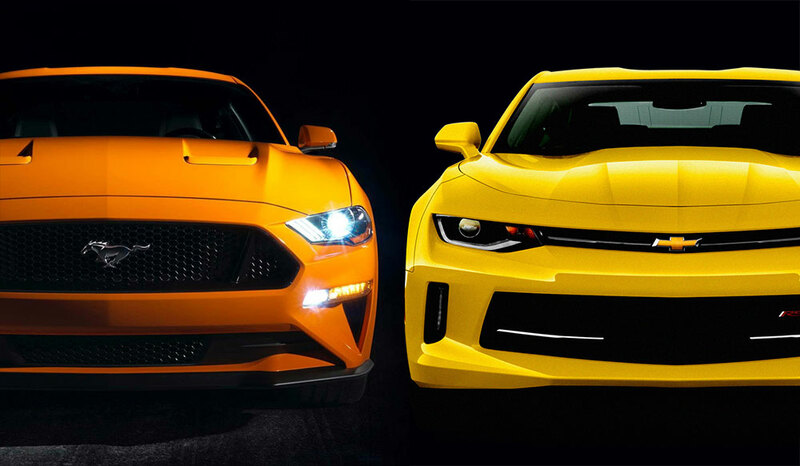 Thankfully both will be available in their full fat V8 glory, however the Camaro requires a detour via HSV’s engineering facilities prior to going on sale, and unfortunately not for the usual steroidal HSV treatment. While the Mustang is now built in right hand drive, the Camaro is still left hand drive only. The Camaro will be converted to right hand drive locally by HSV at considerable expense. How considerable? A V8 Manual Fastback Mustang can be had for around $65,000, an equivalent Camaro is expected to cost $85,000 to $90,000. This may drop the Camaro squarely in to existing HSV territory however $20,000 is still $20,000 and there won’t be much more to show for your extra spend over the Mustang. 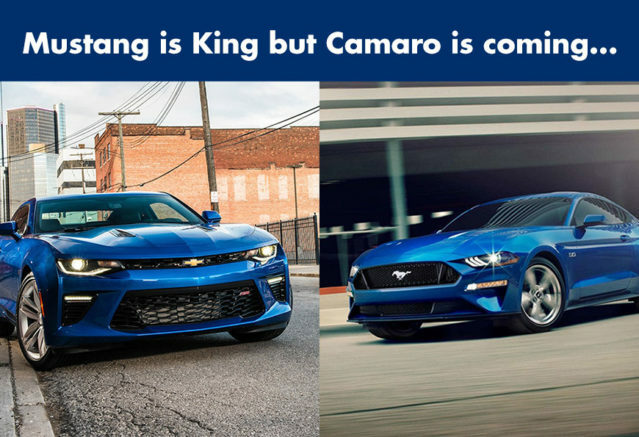 The Camaro enjoys a number of small advantages over the current generation Mustang, however by the time the Camaro is ready for delivery, the updated 2018 Ford Mustang will be arriving in our showrooms. This is significant as the MY18 update brings with it a power increase for the 5.0 litre V8 bringing it into line with the brawny 6.2 litre V8 nestled between the Camaro’s front axles. 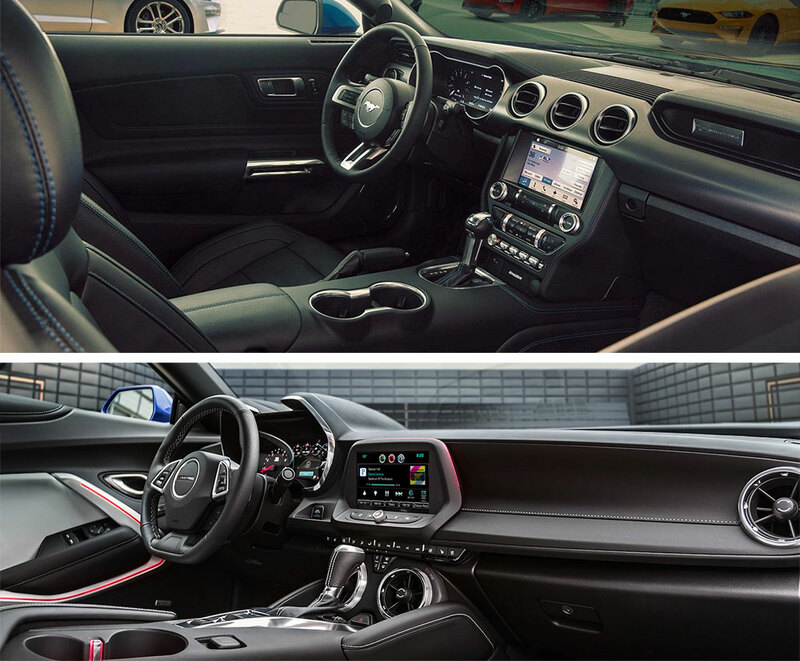 Other 2018 Mustang updates include a “Drag Strip Mode” allowing for perfect launches and a sub 4 second 0-100kmh time, multi-modal active valve performance exhaust allowing full liberation of the glorious 5.0 litre V8’s voice or even a stealth mode for the conscientious neighbours among us, a 10 speed automatic transmission, MagneRide suspension system taken from the legendary GT350, and a full suite of the latest safety technology including autonomous emergency braking, forward collision warning, pedestrian detection and lane assist. In the value for money stakes, the Mustang has this race won. Still on the fence? The Camaro is going to face further hurdles in the pony car race. Firstly there’s the issue of supply. The work required to convert modern cars to right hand drive is time consuming, meaning around 1000 Camaro’s can be prepared in the first year. Given Ford has sold well over 7,000 Mustangs to date this year the wait list could be quite a long one. A further complication is the strongly backed rumour of the next generation Camaro will being available from the factory in right hand drive and expected to be sold here at a price much closer to that of the Mustang – meaning a cruel hit in resale value for the early adopters in the Camaro camp. Some day isn’t a day of the week. 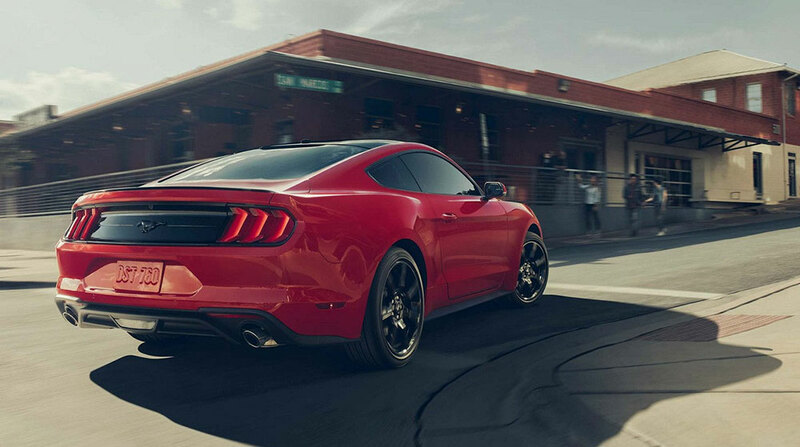 Get your new Mustang at John Hughes Ford today and get the drive of your life every day.